* People: Zimbabweans are friendly and welcoming. In line with Foreign Office advice, safety is not an issue in major cities or tourist resorts. * Animals: Poaching has been a problem, but there is still good big five viewing in national parks such as Hwange, Mana Pools and Gonarezhou. * History: Cave paintings, the Great Zimbabwe ruins, the Rhodes Memorial - the story of Africa is here, from prehistoric to post-colonial. * Victoria Falls: The widest falls in the world offer a mix of high-adrenaline activities such as bungee jumping and white-water rafting, or cruises down the Zambezi. Tourism in Zimbabwe is bouncing back. The British Foreign and Commonwealth Office as well as USA, Japan and most E.U countries, no longer have official alerts warning against travel to the country. Zimbabwe - is known as Africa's Paradise and is a breathtaking country. - Premier wildlife destinations of Hwange, Mana Pools and Matusadona national park. - The Eastern highlands scenic beauty of high mountains and deep forests. - And there's more. 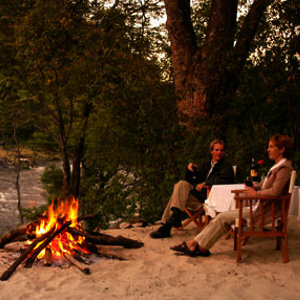 Riverside lodges, colonial hotels, safari bush camps all worldclass and affordable.